FORAGE & CEREAL Bulk-Seed Business situated just south of the Hamilton International Airport offers 3 components: 1. 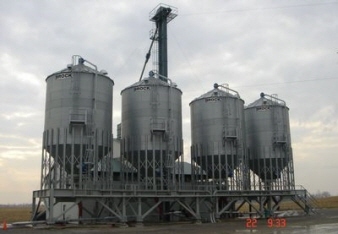 Ultra-Modern Bulk-Seed Processing Facility with 4 structures on load cells (scales) each with 200 MT holding bins, bean ladders & aeration. Belt conveyors, underground air conveyor system servicing cleaner, treater & both tote & bag packaging systems. 2. Seed Crop Production on approx 4000 acres of which 1178 Acres are owned. 3. Deerehurst (Future Development Land). This ultra-modern bulk-seed business is offered as a going concern with 1 year vendor support upon transfer. Please request detailed brochures for this business opportunity! Creative Vendor options are available to qualified purchaser.